Joshua's Girl: 'Tis The Season! We've finally settled into our new house, and have started on our Christmas decorating routines. I snapped a few pics of the girls yesterday, so I could get our Christmas cards ordered. 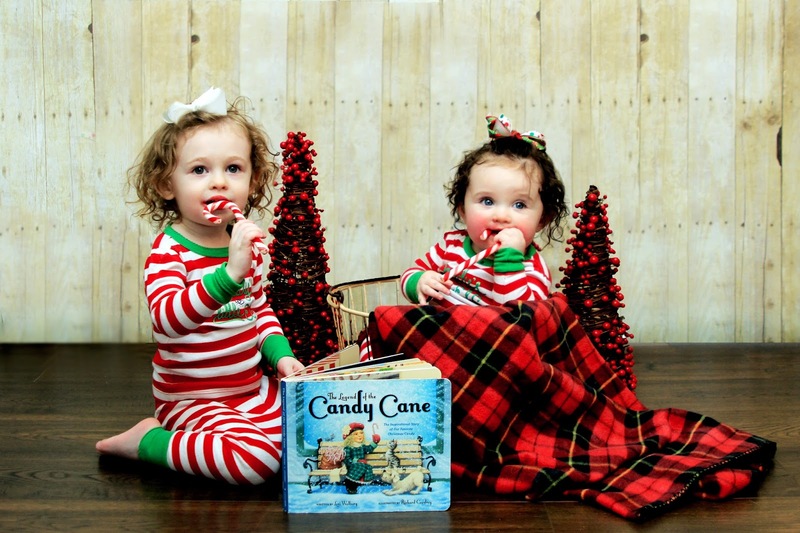 The girls really enjoyed their candy cane treats. ;) I thought it turned out pretty cute. I don't do much studio work as it takes so much time for set up, but when I do, it always lends to a sweet captures Pun intended. What a wonderful Christmas you are going to have... Two littles and a new home! Oh magical little Angels! Just darling. xoox So happy you're getting settled!